The percentage of stocks above the 50-day SMA is a breadth indicator that measures the degree of participation in an index - in this case, the S&P 500. This article will show two methods to use this indicator as part of a trading strategy. First, a long-term moving average can be applied to identify the general tone of the market, which is either bullish or bearish. Second, a short-term moving average can be used to identify pullbacks and bounces. Putting these two together, chartists can look for pullbacks when the general tone is bullish and bounces when the general tone is bearish. The idea is to participate in the bigger trend with a better risk-reward ratio. As the chart below shows, the raw data for this indicator can be quite volatile, with frequent crosses above/below the 50% line. In general, the bulls have the trading edge when the indicator is above 50% and the bears have the edge when it is below 50%. The raw data is too choppy for an effective system. Therefore, chartists can use moving averages to smooth the data and reduce volatility. A long moving average can be used to set the overall tone, bullish or bearish. A short moving average can then be used to identify overbought or oversold levels. There are three steps to developing this system with two moving averages. 1. Define the market tone with a long-term moving average. Smoothing the indicator with a 150-day EMA will greatly reduce volatility and allow chartists to establish a general tone for the S&P 500. Even though a move above 50% is technically bullish and a move below 50% bearish, whipsaws can be reduced by using buffers for bullish and bearish thresholds. Therefore, a move above 52.5% is deemed bullish until countered with a move below 47.5%. Conversely, a move below 47.5% is deemed bearish until countered with a move above 52.5%. 2. Use a short-term indicator to identify pullbacks or bounces. While the raw indicator can be used, applying a short 5-day EMA provides a little smoothing without sacrificing too much sensitivity. Chartists then need to set the levels to identify pullbacks and bounces. Setting these levels too high or low will result in too few signals, while setting these levels too much in the middle will result in too many signals. A golden middle is needed. This example uses 40 and 60. A move below 40 signals a pullback, while a move above 60 signals a bounce. 3. Set a level to signal that the pullback or bounce has reversed. At this point, chartists are looking for pullbacks when the general tone is bullish and bounces when the general tone is bearish. The pullback serves as an alert, but we need a level to signal that the pullback has ended. A move back above 50 provides the first indication that breadth is improving again and the uptrend may be resuming. After a bounce above 60, a move back below 50 provides the first indication that breadth is deteriorating again and the downtrend may be resuming. 150-day EMA of $SPXA50R crosses above 52.5 and remains above 47.50 to set the bullish tone. 150-day EMA of $SPXA50R crosses below 47.50 and remains below 52.50 to set the bearish tone. The first chart shows the indicators in the first two windows and the S&P 500 in the bottom window. In the middle window, the 150-day EMA of $SPXA50R sets the bullish tone with a move above 52.50 in early May 2003. This bullish tone would last until January 2008, when the indicator moved below 47.50. With a bullish tone, chartists would only focus on bullish signals using the 5-day EMA of $SPXA50R. A move below 40 signals a pullback and a subsequent move back above 50 triggers the bullish signal. There were no bullish signals in 2003 and three bullish signals in 2004. Signals 1 and 2 did not work out well, but signal 3 preceded a solid advance and signaled a continuation of the bigger uptrend. The second chart shows four bullish signals in 2005 and 2006. Notice that the 150-day EMA of $SPXA50R never broke below 47.50 to reverse the bullish tone that was initially set in 2003. There were at least seven dips below 40, but only four were followed by a surge back above 50. It is important to wait for the surge above 50 to ensure that the uptrend has in fact resumed. Signal 1 was not good, but the other three signals preceded significant advances in the S&P 500. The third chart shows the market tone changing from bullish to bearish in early January 2008. There were two bullish signals in 2007 and then two bearish signals in 2008. These bearish signals occurred just after important peaks and foreshadowed significant declines in the S&P 500. The blue arrow marks a bullish signal that did not materialize. Even though the market tone was bullish and the 5-day EMA of $SPX50R dipped below 40, the subsequent rebound failed to exceed 50 and trigger a bullish signal. After the market tone turned bearish, the 5-day EMA of $SPX50R surged above 60, but did not move back below 50 to confirm a resumption of the downtrend (black arrow). The last chart covers three years (2009, 2010 and 2011). The market tone changed three times and there were seven signals. The first five signals were quite good, but the period from June to December 2011 was rather tumultuous with a pair of bad signals. Signal 6 was bullish at the beginning of July and the market subsequently fell apart in August. Signal 7 was bearish at the end of November and the market subsequently surged from December 2011 to February 2012. There are numerous ways to tweak a trading system, but chartists should avoid over-optimizing the indicator settings. In other words, don't attempt to find the perfect moving average period or crossover level. Perfection is unattainable when developing a system or trading the markets. It is important to keep the system logical and focus tweaks on other aspects, such as the actual price chart of the underlying security. Chartists can use support or resistance breaks to trigger signals or set stops. As the chart below shows, a stop based on the support break in late July and early August would have significantly cut losses on the bogus bull signal in early July. After the bogus sell signal in November, the quick surge back to 1250 signaled that something was amiss. This was affirmed when the market tone changed back to bullish in early December. As a breadth-based system, the Percent Above 50-Day SMA strategy can be used to identify the big trend for the stock market and corrections within that trend. Chartists can use these signals to enhance their market timing or use these signals to define a trading bias. For example, chartists could focus on bullish stock setups when the system is bullish and bearish stock setups when the system is bearish. Keep in mind that this article is designed as a starting point for trading system development. Use these ideas to augment your trading style, risk-reward preferences and personal judgments. Click here for a chart of the S&P 500 %Above 50-day SMA ($SPXA50R) with appropriate moving averages. 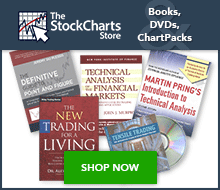 StockCharts.com subscribers can view the chart settings and save this chart to one of their ChartLists. John Murphy's Technical Analysis of the Financial Markets has a chapter devoted to stock market indicators (breadth) and their various uses. Murphy also covers moving averages and other signals that can be used to augment this system.